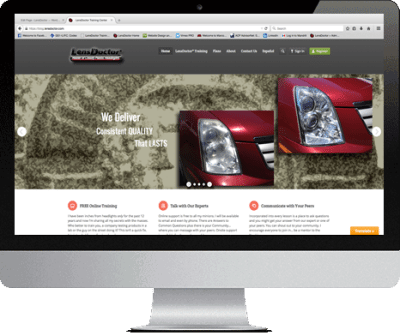 There you will also find helpful FAQ’s and Forum pages where you can get answers from fellow LensDoctor® Certified Dealers… You can get mentored or become a mentor. I’m creating a network of professionals because together we can grow and prosper. Comprehensive On-Site Training and Premium Training and Support packages both include LensDoctor Essentials tools and The Good Package of supplies which is all you will need to hit the ground running. The Free Online Training DOES NOT include your tools and first round of supplies, you will need to add them to your cart to begin training. Once that is done, visit the LensDoctor® Training Center and unlock your training so you can start earning $$$ as a LensDoctor® Certified Dealer TODAY!